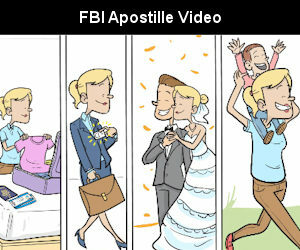 Do you need an apostille on your FBI Background Check? Whether your moving, starting a new job, getting married, adopting, or continuing your education in another country, we can help! At International Apostille Services, Inc., we take the guesswork out of getting an apostille on your FBI criminal background check. Our trained and knowledgeable staff are available Monday – Friday from 8am to 7pm to answer your questions and provide you easy to follow step-by-step instructions. During the months of May, June, July, August, and September, our Washington DC Apostille office will process thousands of FBI background checks through the US Department of State in Washington, D.C.. The processing time is a fast as four business days and we do provide FedEx return shipping at no additional cost. Every morning, our staff hand-delivers and picks-up completed documents from the US Department of State in Washington, D.C. (Federal Government). In addition to our apostille service, we also provide document certification and Embassy or Consulate legalization services. The very first step is to contact an approved FBI Channeler. An FBI Channeler will help expedite the background check process saving you time and money. The FBI Channeler will help answer all your questions regarding obtaining your background check including sending you an fingerprint card. You can elect to receive your FBI background check by regular mail, e-mail, or both. If you are outside of the United States, we suggest that you obtain a digital copy of your FBI background check in order to save time and money. The FBI channeler will either email you a .PDF copy of your background check or provide you login information to obtain it from their website. 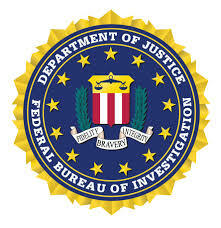 Unfortunately, the FBI channeler will not be able to mail your background check to our office. But, you can elect to have the background check mailed to a friend or family member. Once you receive your background check, please call our Washington D.C. Apostille office for instructions. Our trained and knowledgeable staff are available Monday-Saturday from 8am to 7pm to answer your questions and provide you easy to follow step-by-step instructions. Call 1-202-897-4070 or 1-888-810-4054. Once we receive your background check, we’ll rush your document to the U.S. Department of State the following business morning. The expedited processing time is four business days and we do provide Free FedEx 1-2 day return shipping. It’s that simple! Take the hassle out of getting an apostille, call us at 1-202-897-4070 or 1-888-810-4054 today.